Roughly 70% of all first-time sales are the result of good curb appeal. Uniforms play on the same basic principals. Looks matter. You started your landscaping business because you understand the importance of curb appeal. According to Roger Brooks International, roughly 70% of all first-time sales at restaurants, lodging facilities, golf courses, retail shops, and other businesses are the result of nothing more than good curb appeal. The same logic holds true to your business. 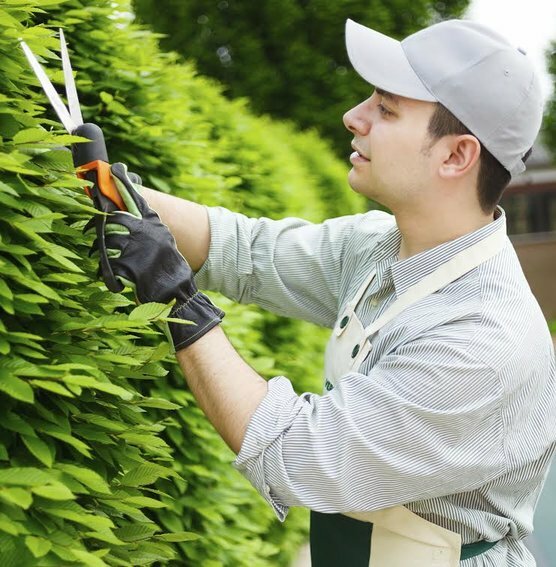 Except instead of a storefront and curb appeal, potential customers judge the credibility of your landscaping business based on the appearance of your landscapers. So what kind of first impression are your employees giving? Your employees are the face of your business. They need to look the part. “You’ve got just seven seconds [to make a first impression] – but if you handle it well, seven seconds are all you need,” explains Carol Kinsey Goman, contributor for Forbes. When you meet a potential customer for the first time, whether a scheduled meeting or a random encounter, his or her brain makes a thousand computations. Is your business reputable? Are your employees trustworthy experts in their field? Is this a business I can trust? In the business world, first impressions are crucial, so it is important to ensure your employees always look their best. The solution: uniforms. Despite being taught at a young age to never judge a book by its cover, that is exactly what we do day in and day out. We as consumers judge the credibility of a business based on the look of its storefront and workforce. Attractive, well-fitting uniforms help give a unified public image, promoting the efficiency and reliability of your organization. For over forty years, Lord Baltimore has provided reliable, cost effective uniform rental services throughout Maryland, Washington DC, Northern Virginia, Southern Pennsylvania, and Delaware. We are an independently owned company that is confident in our ability to provide you with service above and beyond rental industry standards. For a Flat Weekly Fee, Lord Baltimore will pick up and deliver your uniforms on a weekly basis, as well as handle cleaning, maintenance and repairs, and replacements as part of your contract. While other uniform rental companies offer you high tech solutions that speed up their processes, improving their bottom line, Lord Baltimore offers proven, dependable solutions that will help your business succeed. This entry was posted on Friday, May 8th, 2015	at 5:27 pm	. You can follow any responses to this entry through the RSS 2.0	feed. Both comments and pings are currently closed.